With a last splendid get together, the Japanese season has ended with all the glitter that it deserves. 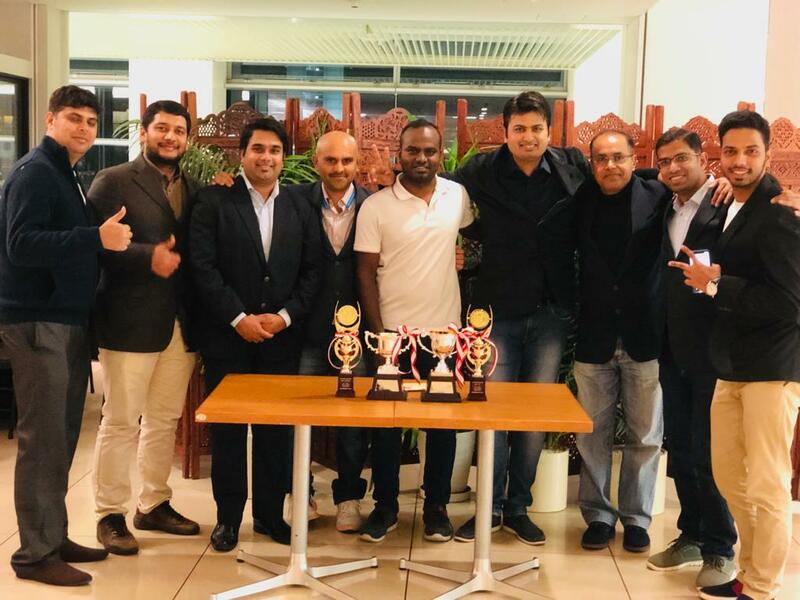 On Dec 2, the Tokyo Cricket Association held its 2018 Annual Awards Night and celebrated a season that saw a few hard fought and nail biting finishes on the field. 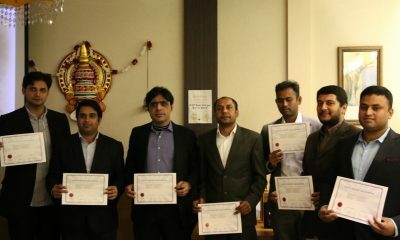 To celebrate those fleeting months, the TCA invited all the member clubs to Nirvanam Indian restaurant, who is also a sponsor the Kanto Cricket League, for a dinner and awards distribution night. 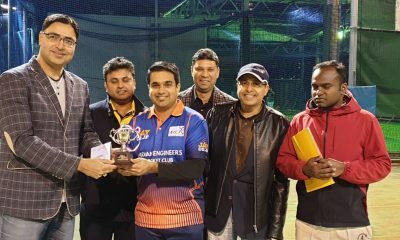 The Deputy Chief of Mission of the Indian Embassy in Tokyo, Mr. Rajkumar Srivastava, who himself is an avid cricketer, was the chief guest of the night. The Indian Engineers, who defended the title this season too, were given the 2018 KCL Winner trophy for their unrelenting brilliance and the determination to play cricket in the right way – undefeated all summer till the death or glory battle against all their opponents. 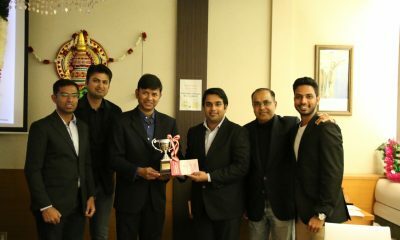 Surprisingly or not, the Second Eleven of the Engineers were the team they defeated in the final of the year long tournament. The B team had come through the ranks with some hard-fought matches. Biju Paul, the president of the TCA, opened the evening welcoming everyone to the event and congratulating all the clubs for their persistence despite having problems with the ground throughout the season. 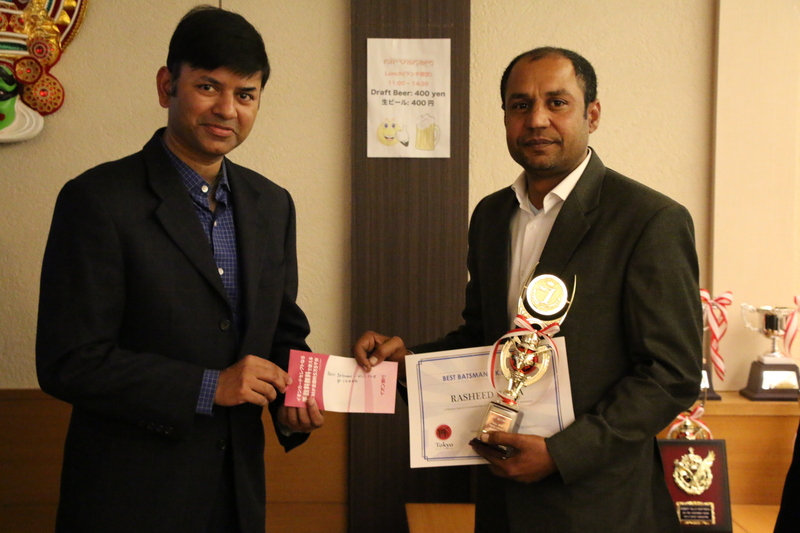 Chandrasiri Naiwala, the vice-president of the organisation, conducted a short quiz session which served as the ice-breaker of the evening. 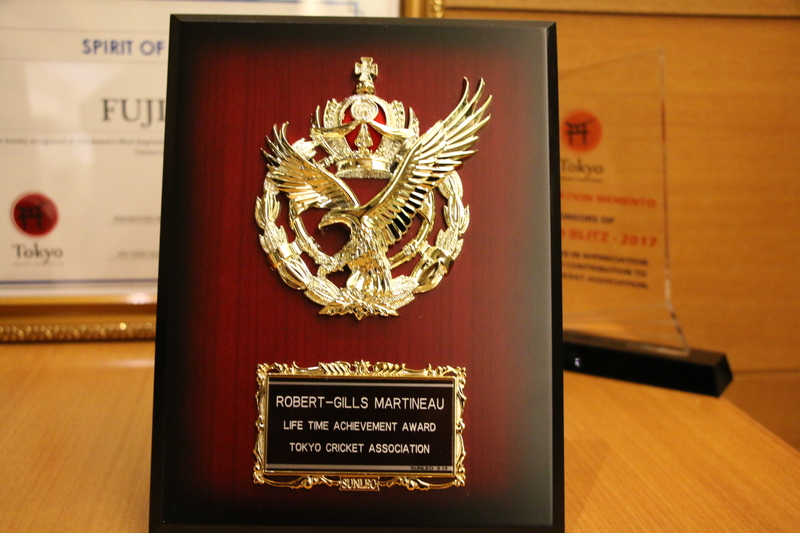 The highlight of the evening was the Life Time Achievement Award given to two unsung legends of Japan Cricket – Mr. Robert-Gills Martineau, who co-founded the Japan Cricket Association and Mr. Sheikh Hiro who single-handedly persuaded the Edogawa City to make the first concrete pitch in Japan. Edogawa cricket ground still remains the hotbed for cricket activities in the city. 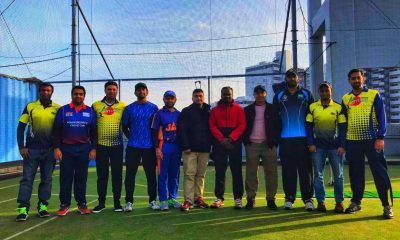 The TCA also honored Fuji C.C with Spirit of Cricket Awards for their dedication and commitment to get a new ground for KCL at Gotemba which they managed and helped teams play cricket at a well maintained ground. 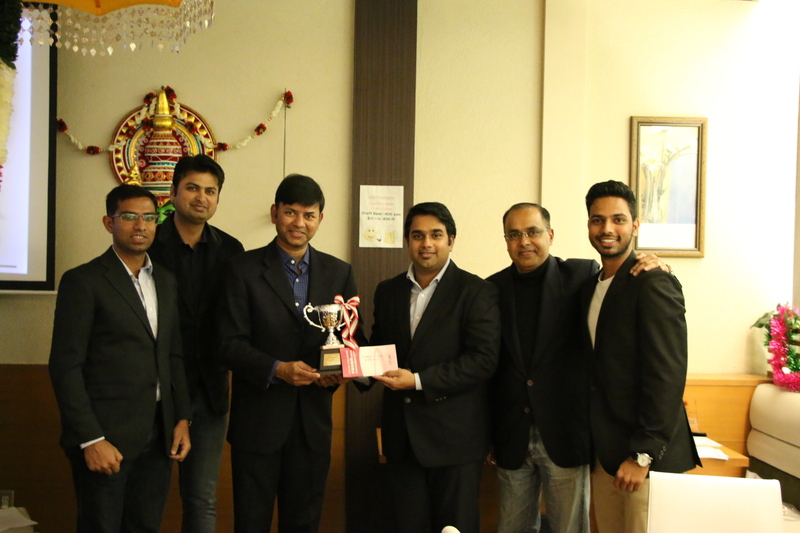 The Tokyo Nepalese C.C., the first Nepalese cricket to play in Japan received the Best Debutante Club Award. The evening ended with Srinivas Pedada, the Treasurer of the TCA, thanking the sponsors, TopTech Informatics and Nirvanam restaurant, and all the clubs for their attendance and support throughout the season. We look forward to the new season next year! More photos are available on the TCA’s Facebook page.